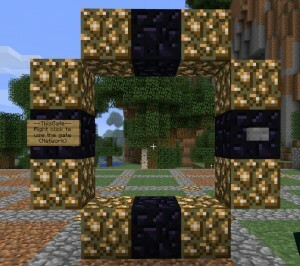 Next you place a sign on the left obsidian block. On the first line type the name of the gate you’re creating. 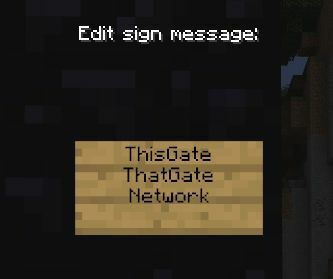 On the third line type the name of the network of gates you want to connect to. 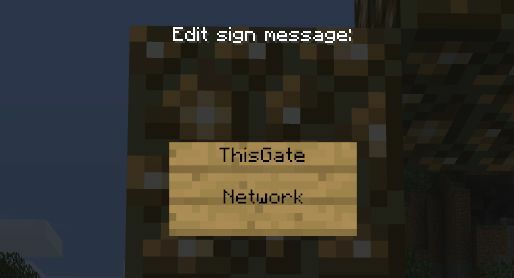 Optionally you can type a specific gate on the network on the second line. This will make it so that the gate you’re creating ONLY goes to that gate, but requires no gate selection by users. Now you have your gate. It’ll only work if there’s another gate on the network; or if you use the second line, that specific destination gate must be created. – ‘H’ for hidden networked gate; Other people won’t see this gate on the network, but can dial out from it. – ‘P’ for a private gate; Only you can dial out from this gate. – You can only destroy your own Stargates by removing one of the blocks of which it is made. – You can put blocks around the gate, but you have to keep the interior clear. – You might not want to place Stargates directly next to chests, furnaces, or beds. This has caused players to fall through the world in the past. – There is an 11 character limit to all lines of the sign. Do you HAVE to use Gold Ore? Do you have to use it? 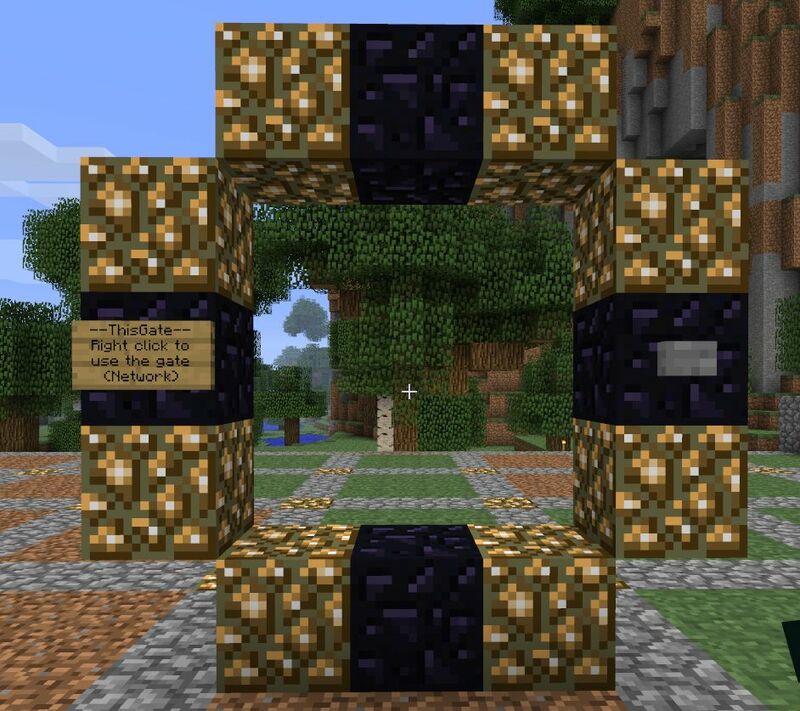 Can you please list the materials that you can use instead of obsidian, such as, wool? It’s already mentioned in the video and first paragraph: obsidian or wool. I did. I’m probably going to remake it more comprehensive later. could there be too much gates in 1 world? There is no world limit on Stargates, but there is a limit (currently 16) on the number of Stargates on a Network. If it gives you an error telling you there’s too many Stargates on the Network, you MAY have specified too long of a Stargate or Network name. You can only use 11 characters on a name. I’m not sure why it gives you the incorrect error, but I might bring it up to the developer. A guide to line them up? I’m prioritizing guides on things that aren’t in vanilla MC. What part fails? Does it give you a message after you create the sign? Then you must have built it wrong. Without seeing it, I can’t tell you where your error was. I’m afraid I don’t understand what you are asking. If you are looking for stargates that lead to mob spawners there is one in Grand Central (/warp gcentral). It has grey wool and a sign by it saying it is for mob grinders.